Call 0800 358 7929*, or contact us. 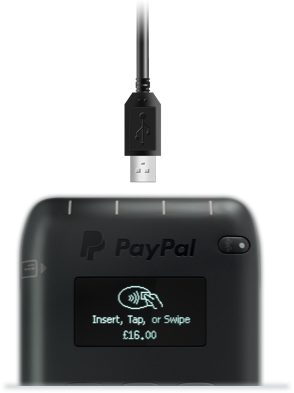 You can find more information about PayPal Here Card Reader v.1. Press the ON/OFF (power) button located on the top of the reader, once. Press and hold the power button for 3 seconds. 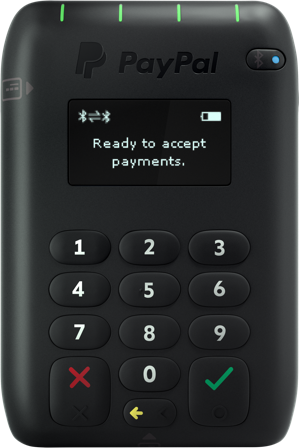 Once off, the card reader will not react to any key presses (except the power button). First minimise or close the app, then press the power button once. In standby mode, the card reader continues to consume a small amount of power, but its Bluetooth connection is off. Press any key on the keypad. 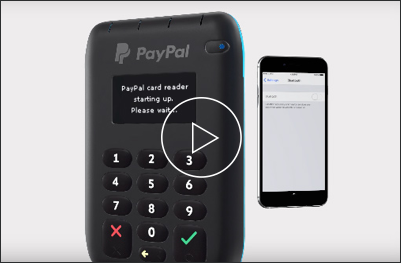 The card reader will auto connect via Bluetooth to your smartphone or tablet and will be ready to use within a few seconds. 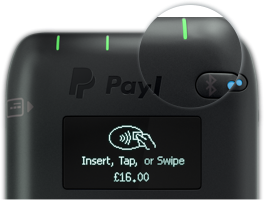 The card reader is fitted with an internal rechargeable battery that cannot be removed or replaced. Before using your card reader for the first time, we recommend you charge the battery for at least 3 hours. You can do this by connecting a USB cable from the micro-USB port on the side of the card reader to your computer or any USB plug adaptor. Connect the device to a laptop via the USB cable, make sure that the laptop is connected to a power source, otherwise the device will not charge. Once fully charged, your reader should last up to 7 days (on standby) or up to 100 transactions. When the card reader’s battery level is at 30% or less, you will be prompted in the app to recharge it. When you are not taking payments, save the battery by placing the card reader on standby. This way the reader only consumes a low amount of energy. TIP: If you minimise the app and do not use the card reader, it will go into standby mode automatically. 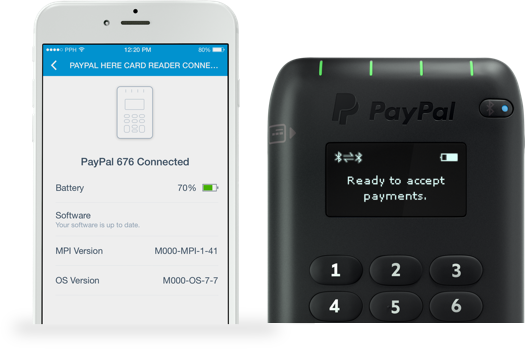 When you’re ready to take payments again, open up the app then press any button on the card reader – it should reconnect within seconds. If you are not planning to use the card reader for a while, we recommend you turn it off completely by pressing the power button for 5 seconds. 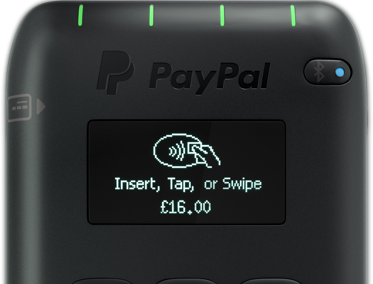 TIP: To ensure auto-connect works, make sure the card reader is on and connected via Bluetooth before you open the app. Bluetooth not picking up card reader? 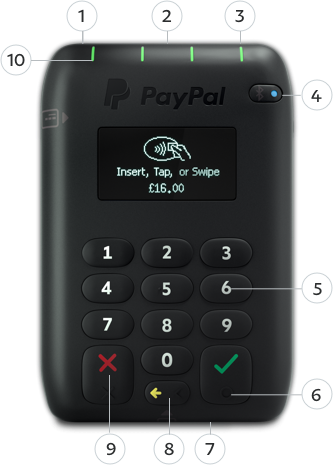 If you have any questions, contact our UK customer support team on 020 8080 6500* or 0800 358 9448* or visit the PayPal Here community support page. *Calls to the 020 number from a BT landline may be charged at the full national call rate. Calls to the 0800 number are free from a BT landline. Calls from other networks may vary and from mobiles will cost considerably more.